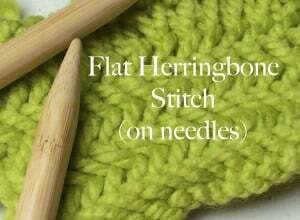 The flat herringbone stitch on needles is a very smooth front railroaded herringbone, with a horizontal series of bump or lines in the back. This creates a thicker fabric in these spots and a very interesting and textured fabric. Cast-on as many stitches as you need. See notes below for main stitch written out. It is a 2 row stitch pattern repeat. [Directions for knitting in the round to come at later date; see loom knitting link below for all right side knitting instructions that apply to needles in the round.] (When completing rows remove stitch marker to knit two stitches together and slip one. Move stitch back to the left needle. Place stitch marker on right needle. Twist stitch on left needle and move to the right needle. Continue in pattern). Complete row 2. I recommend using a crochet hook to work from opposite the working yarn end (right side of loom). Pick up the first 2 stitches. Lift the back loop over the front. Pick up next stitch and repeat. When 1 loop left, cut working yarn and pull through. Weave in tails toward the back of the knitting. A basic or flat panel bind off will give it a stretchy or slightly flared edge which may be desirable for some projects. Use a large needle size than your ball band of yarn calls for. 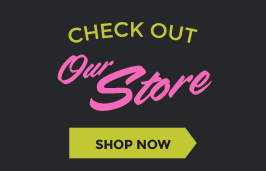 It produces a thicker fabric. See loom version of the flat herringbone stitch!